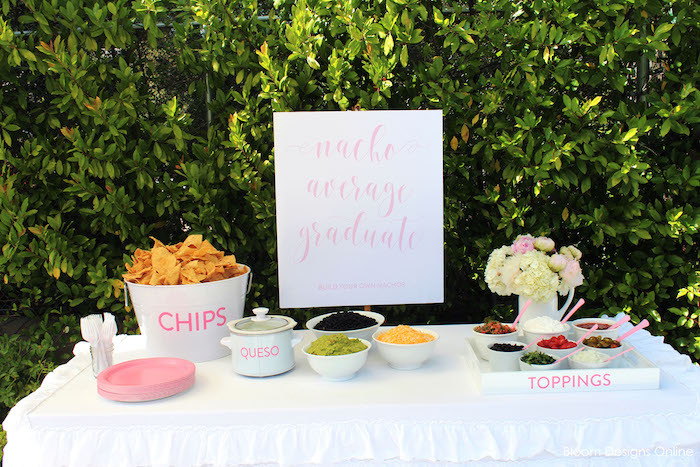 Looking for a party that will wow your graduate and all of their guests? 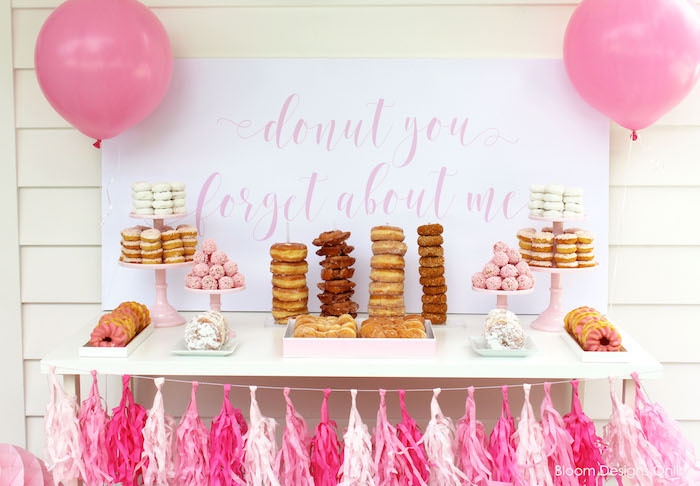 Check out this darling Donut Forget About Me Graduation Party by Jenny Raulli of Bloom Designs, out of La Canada! 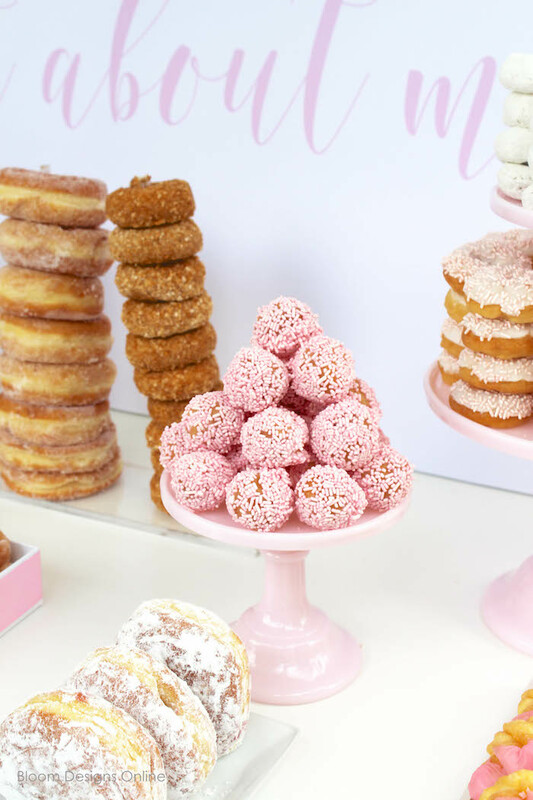 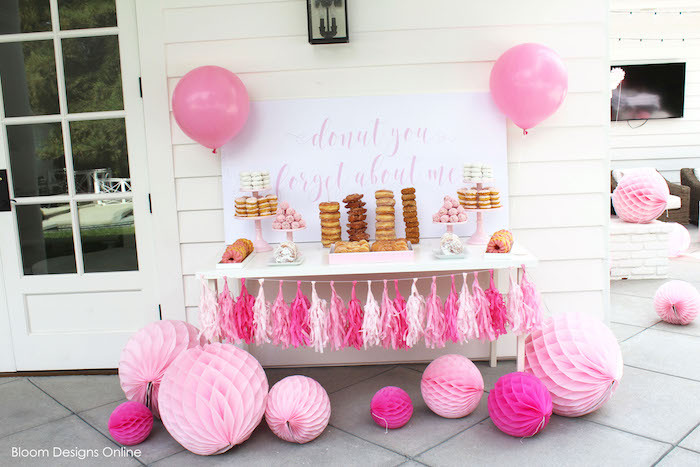 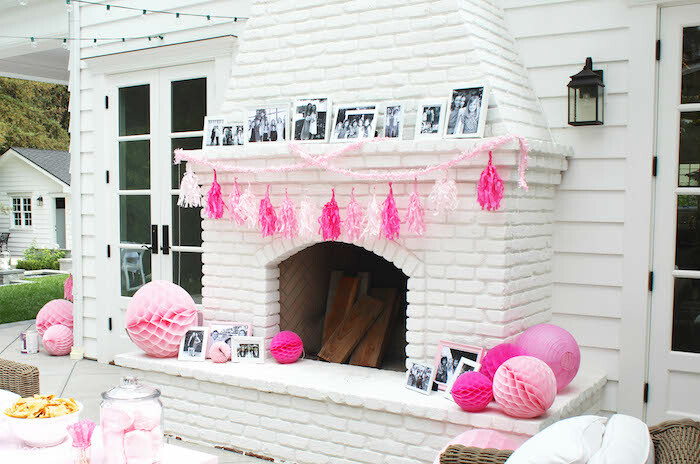 It’s “pun-tastic” party tables and adorable decor, will have you wanting to scarf down donuts, party ideas and more! 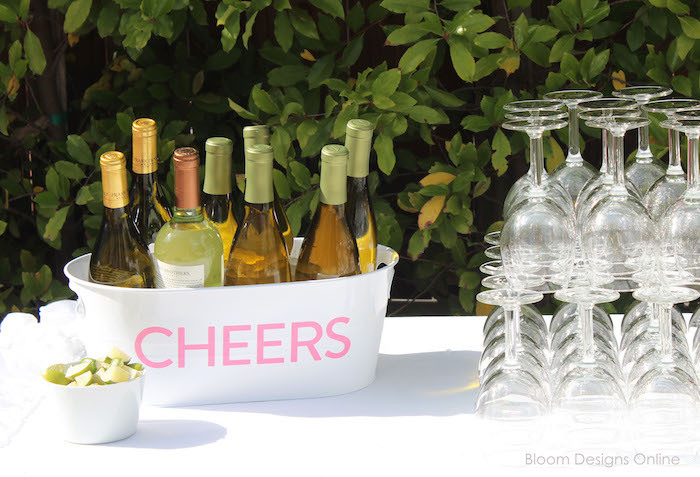 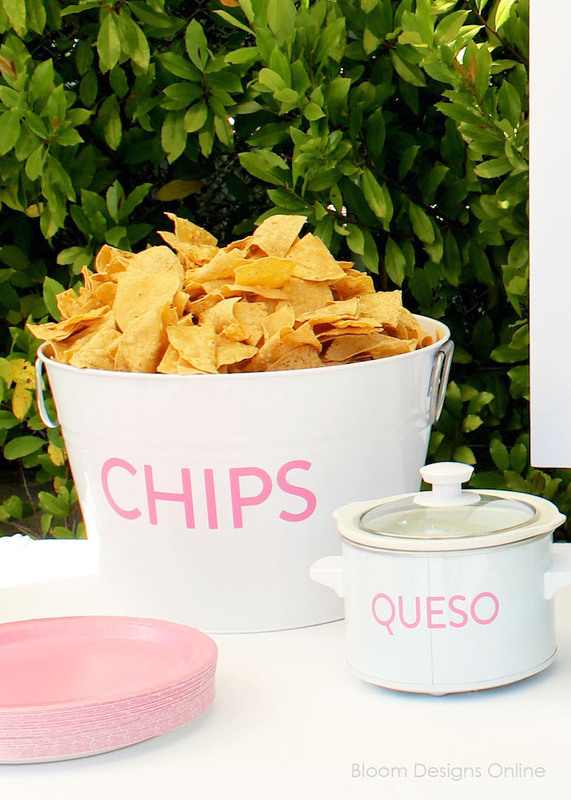 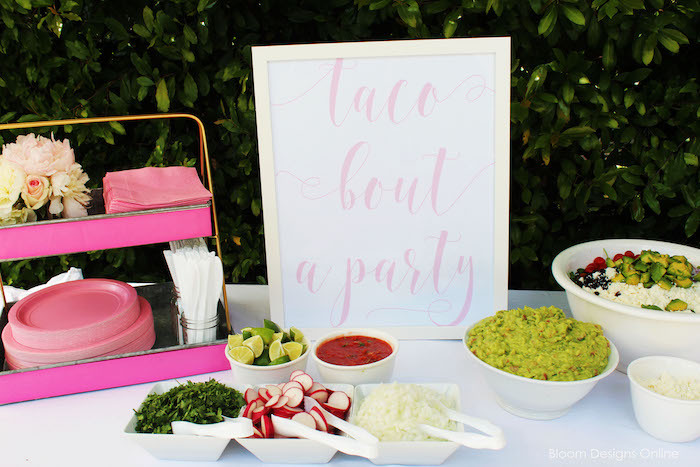 And clever pink + white calligraphy prints naming each party table! 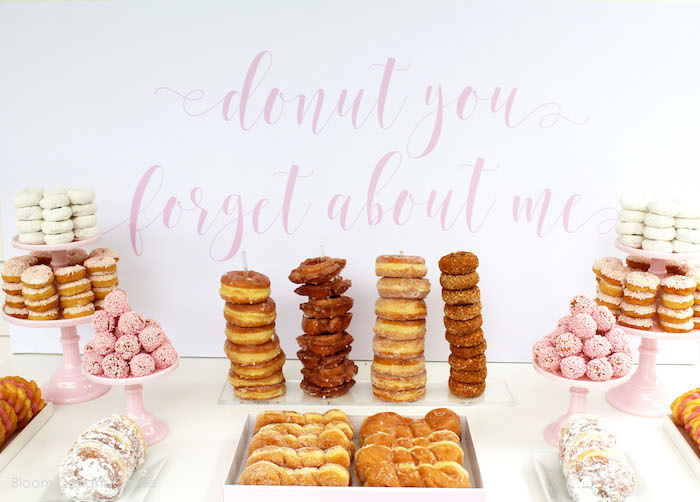 This is what Jenny shared about styling the party- “This Donut You Forget About Me Graduation Party was just this past weekend. 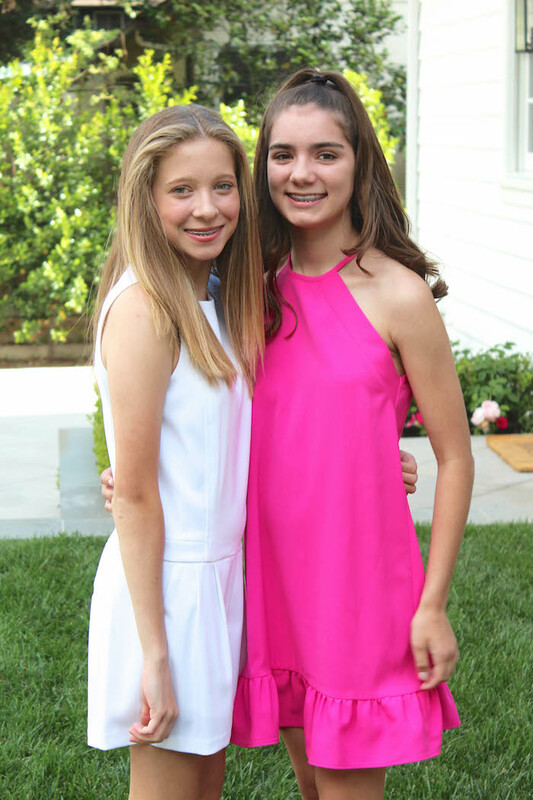 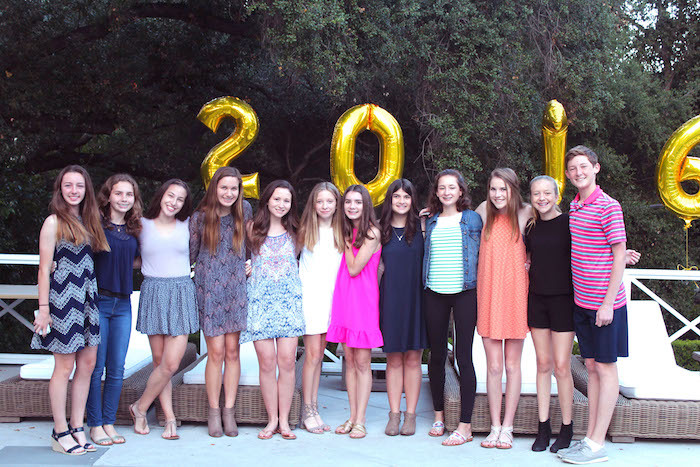 I hosted it with a dear friend for our daughters who are graduating from eight grade. 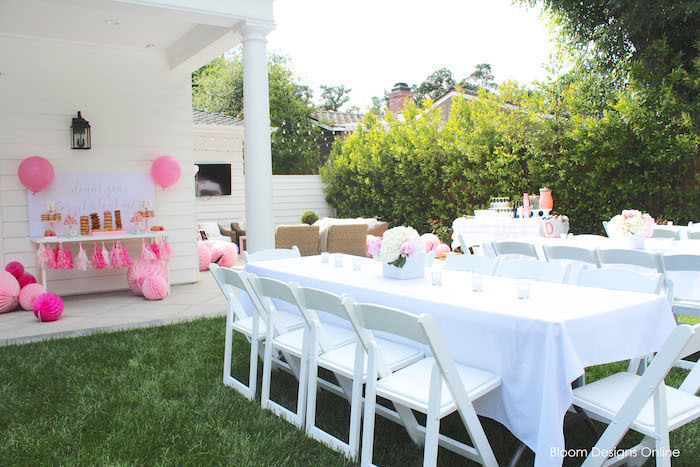 The mood of the party was supposed to be relaxed, pretty and fun- just like our girls. 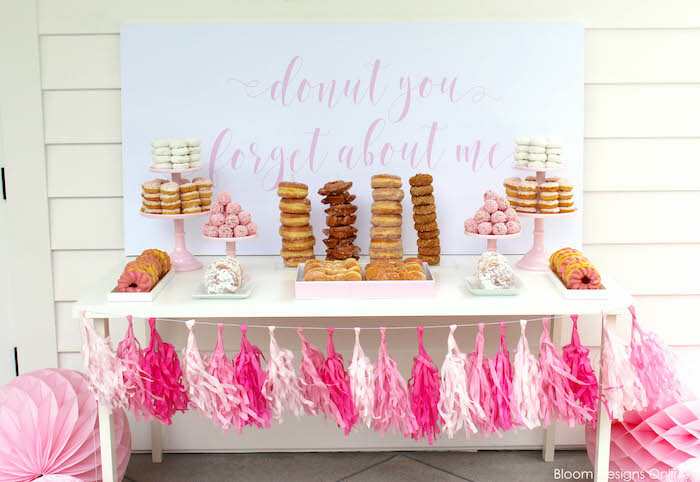 We tried to achieve that with beautiful decorations in shades of pink and pretty calligraphy while inserting silly signs at all our food tables. 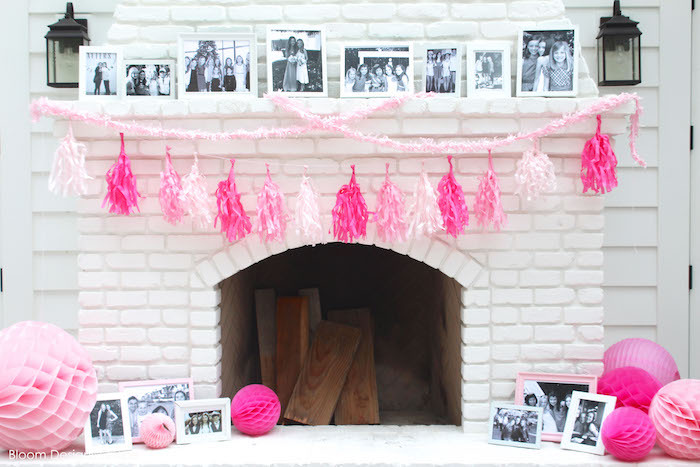 This theme would also work great for a moving away party or any end of year gathering. 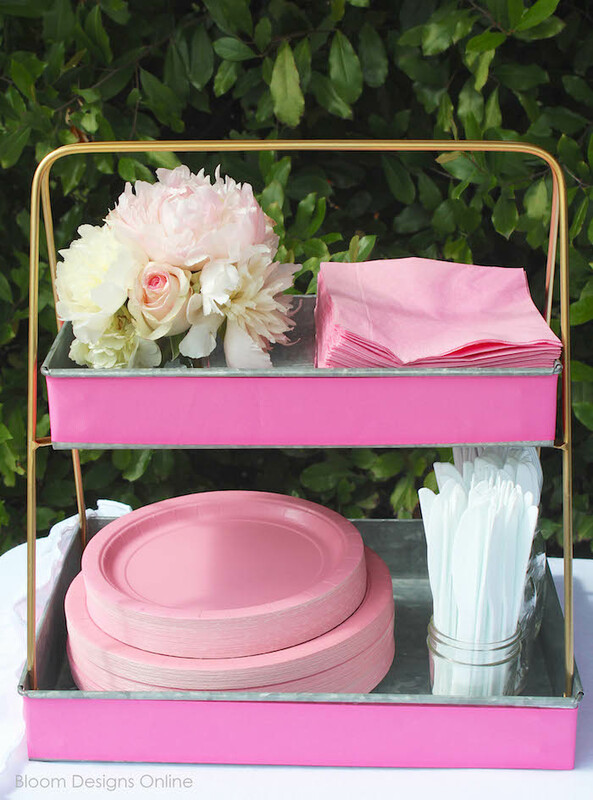 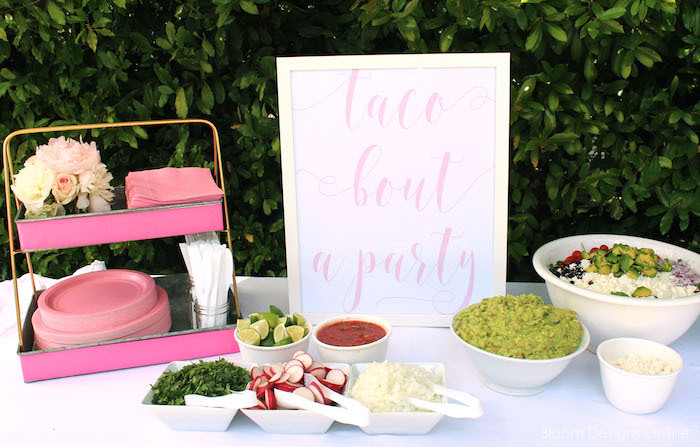 We hired a taco cart for the main meal and offered all the fixing at the Taco Bout A Party Table. 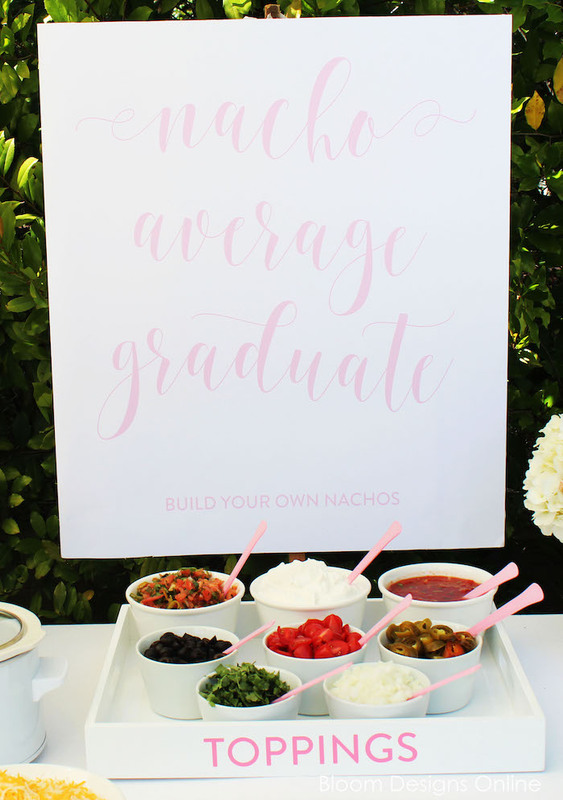 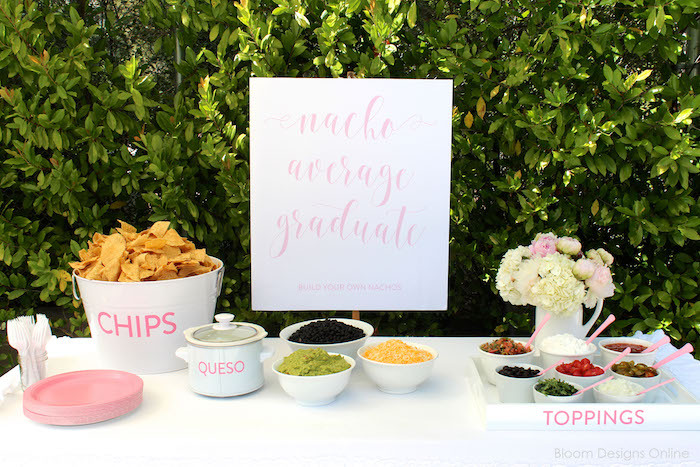 Guest also built their own nachos at the Nacho Average Graduate Table which was filled with homemade quest and lots of different toppings.